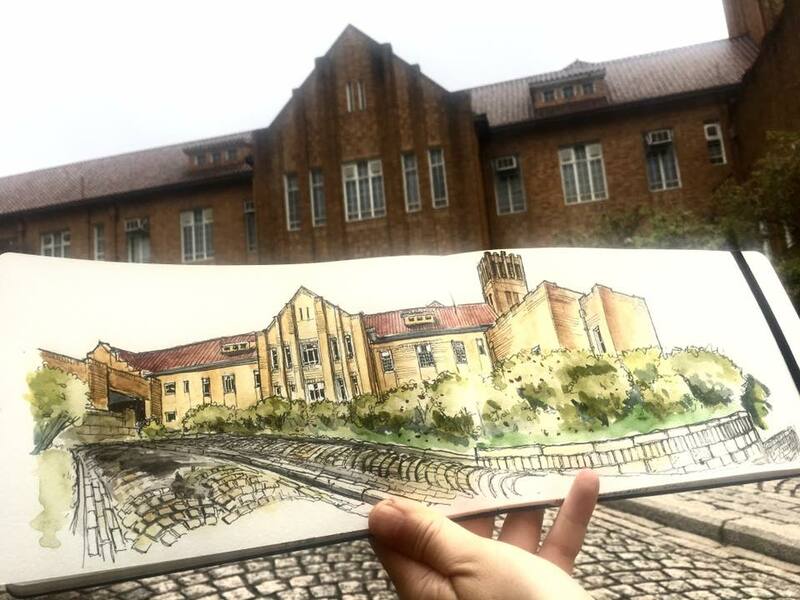 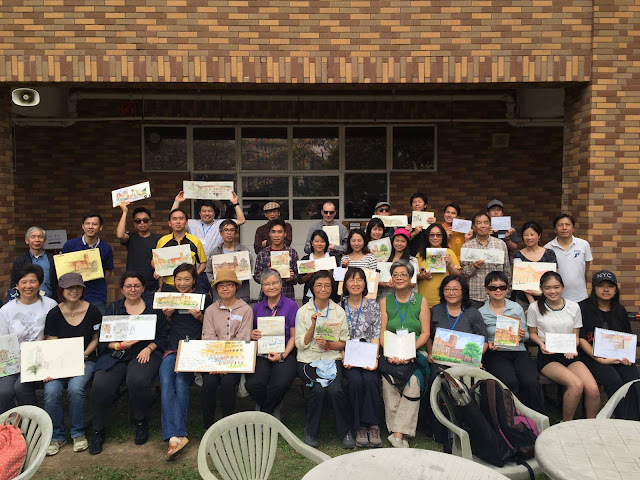 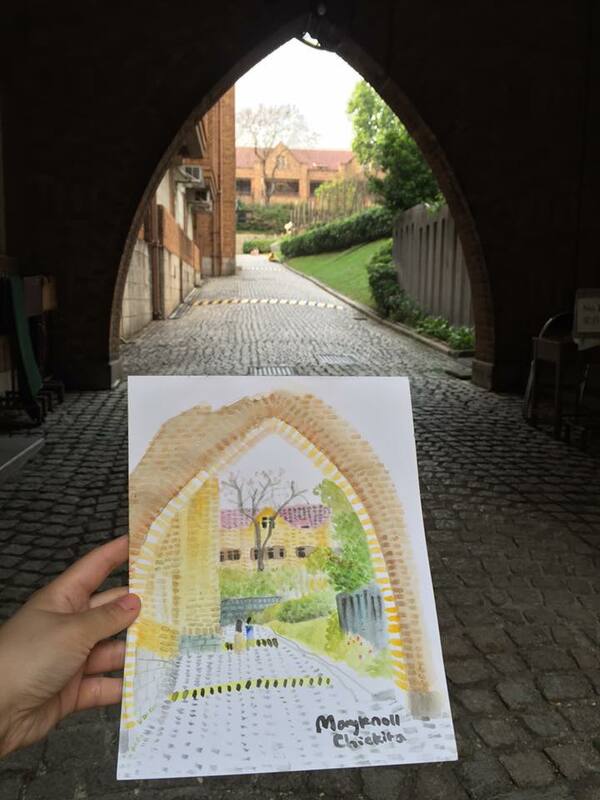 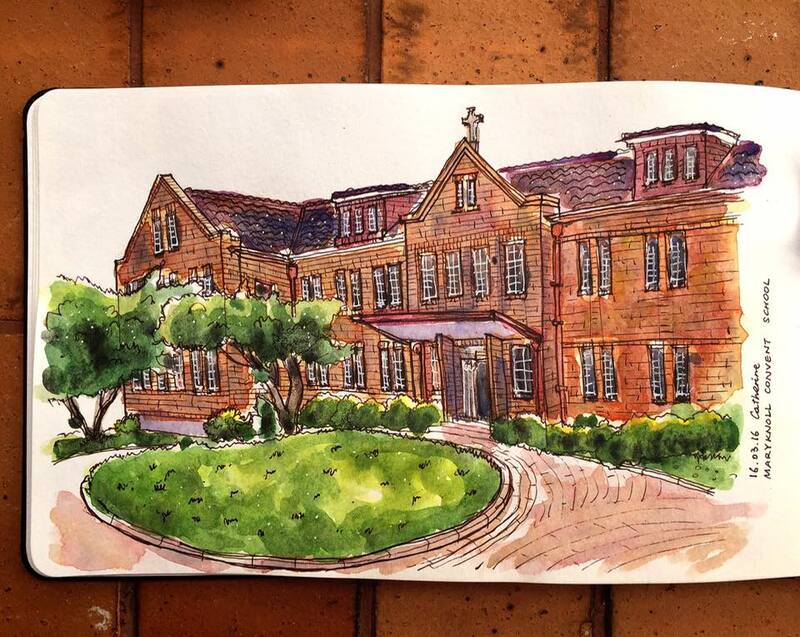 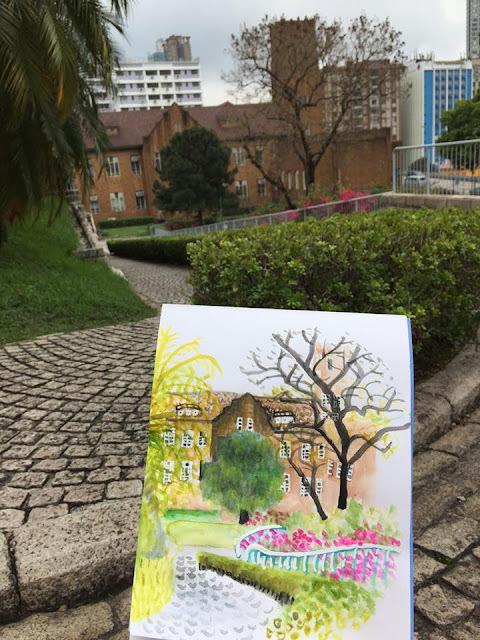 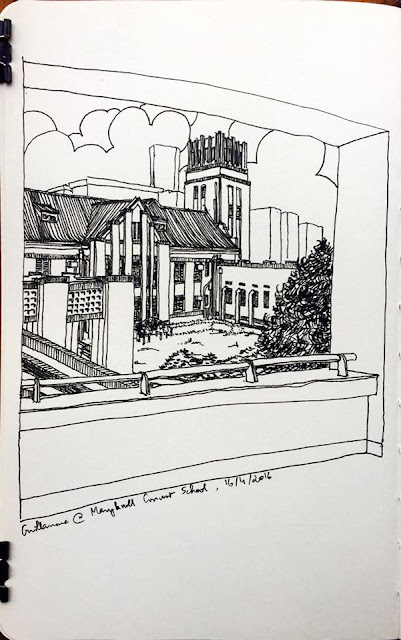 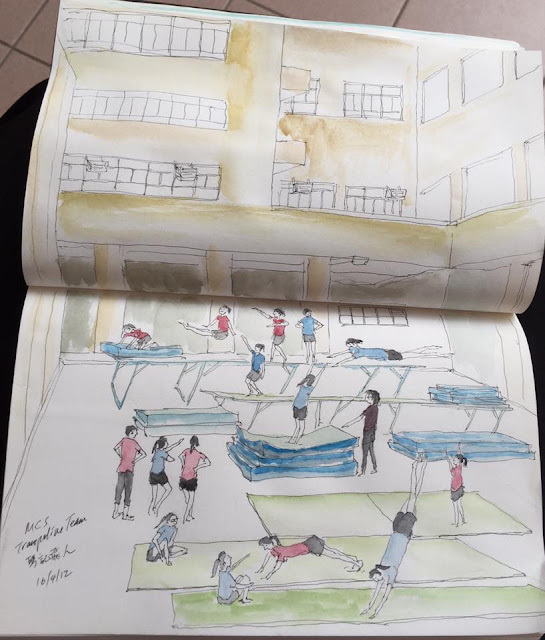 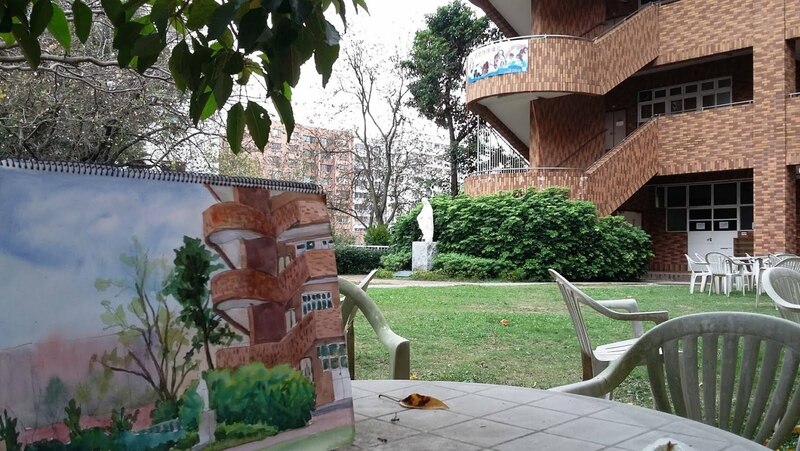 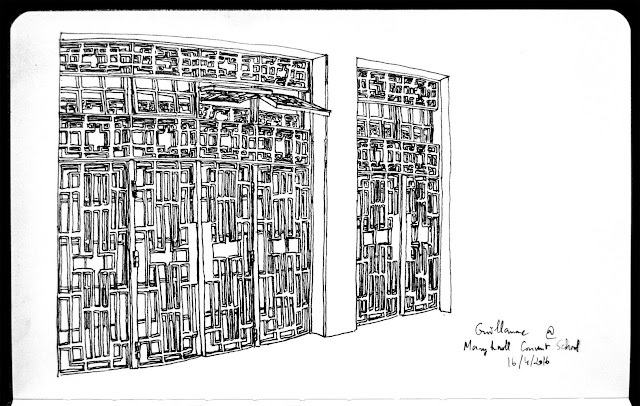 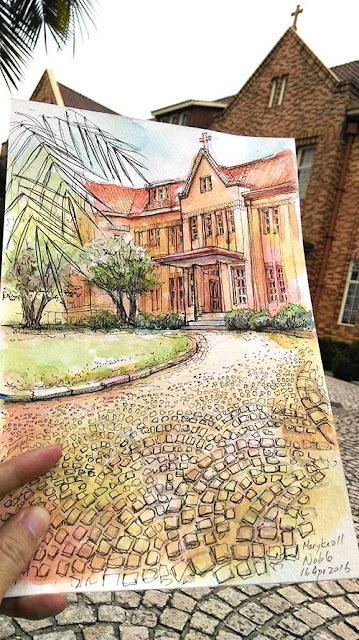 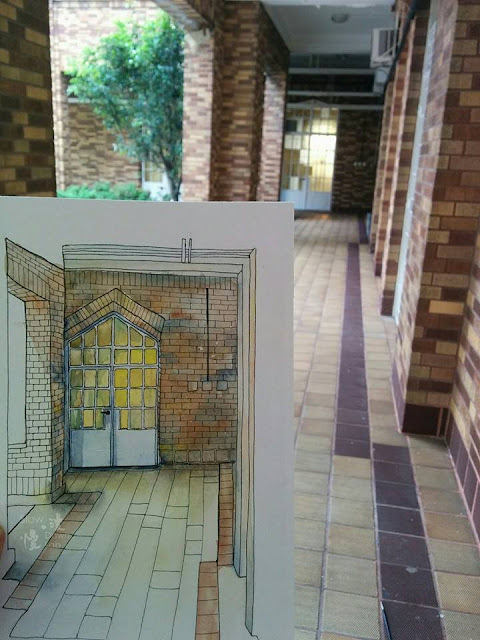 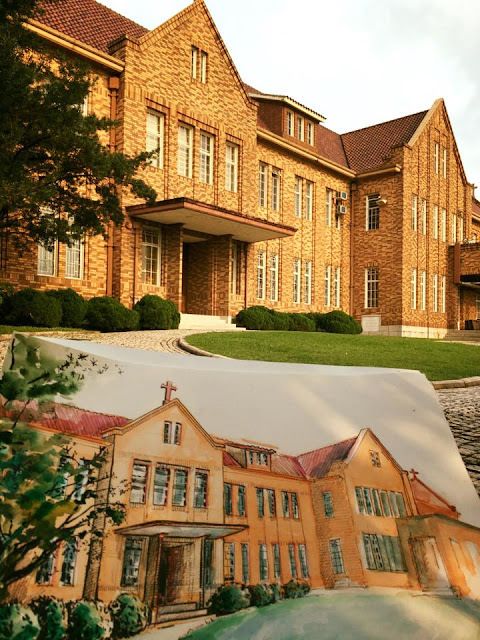 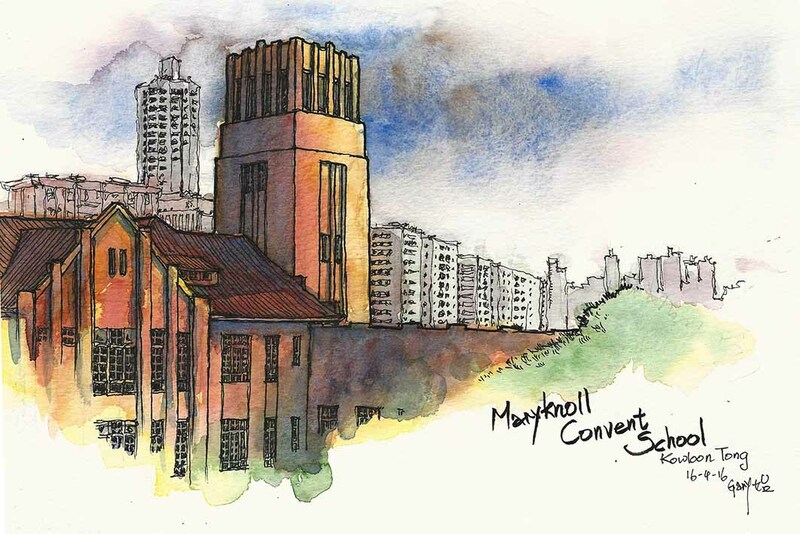 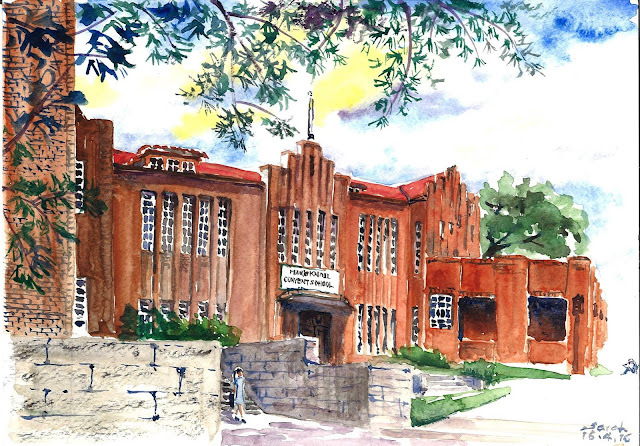 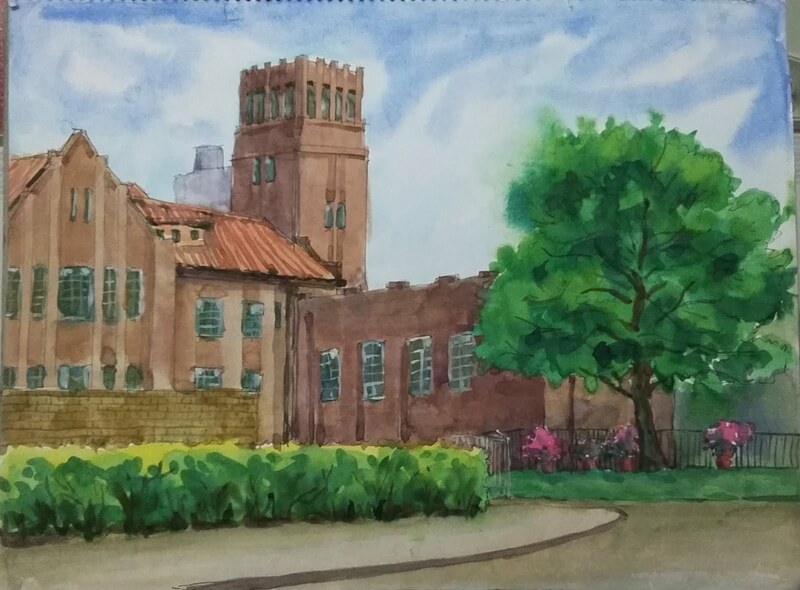 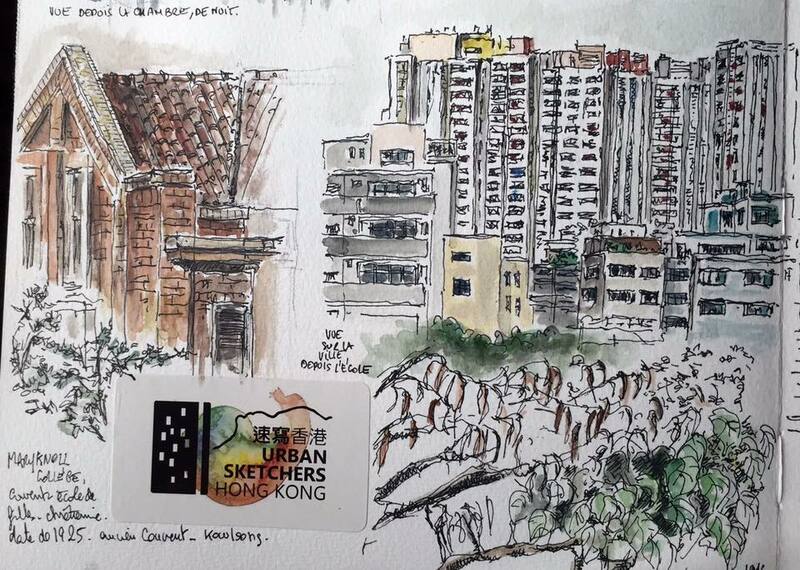 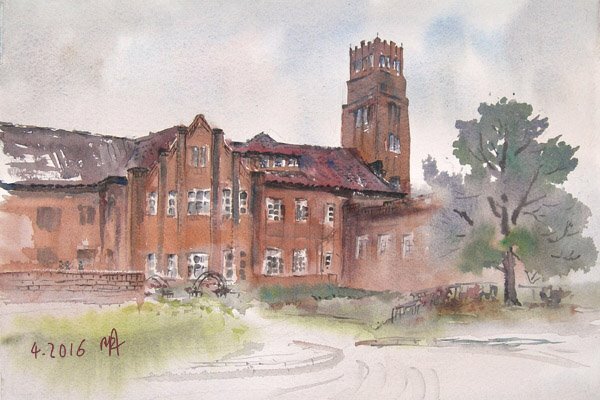 On 16 April, Urban Sketchers Hong Kong assembled once again to sketch at the historic campus of Maryknoll Convent School in Kowloon Tong. 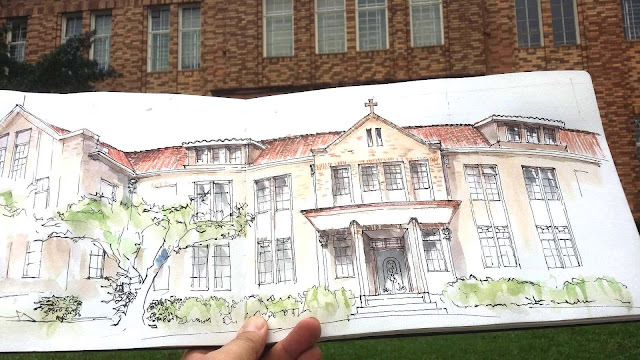 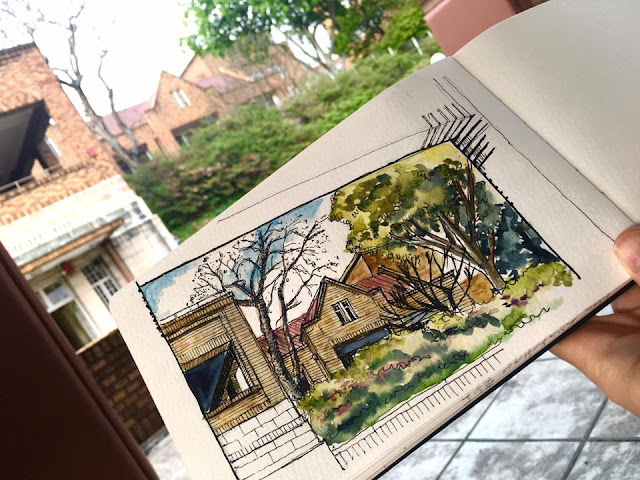 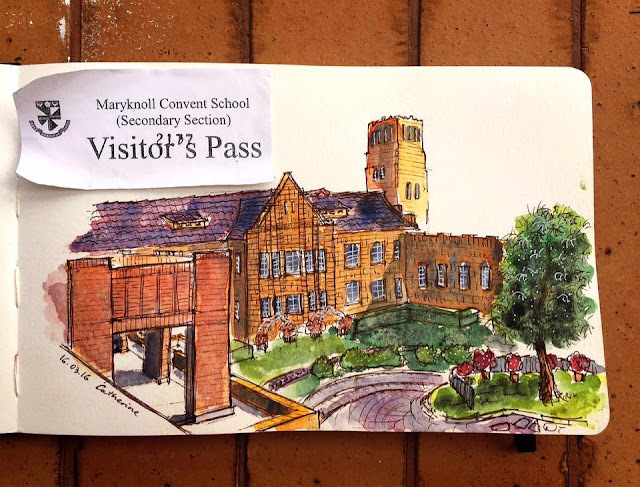 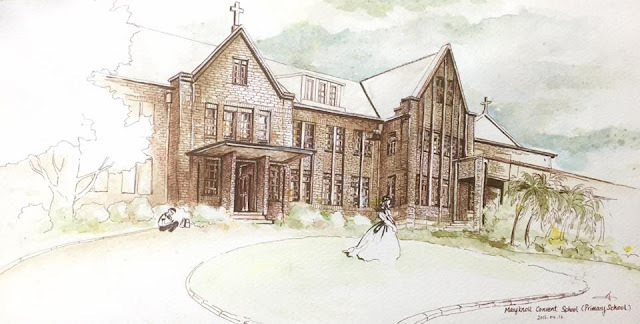 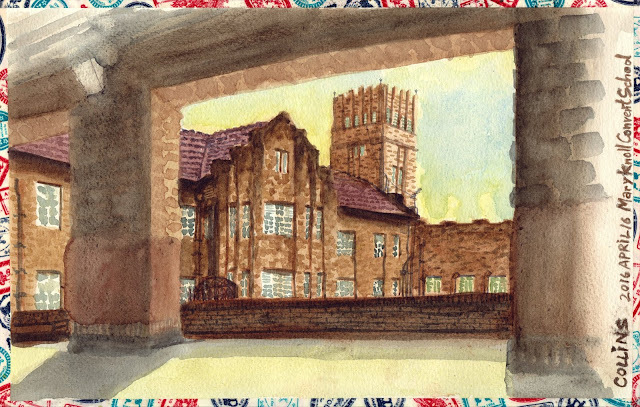 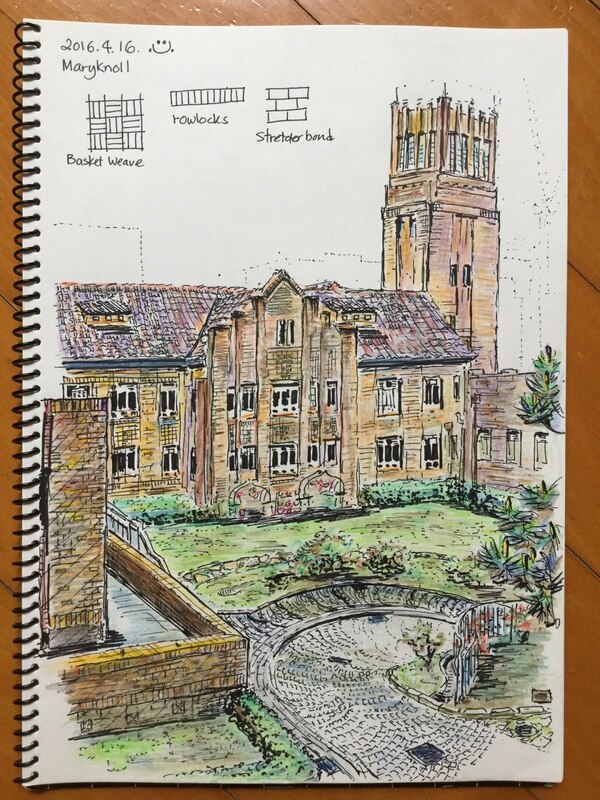 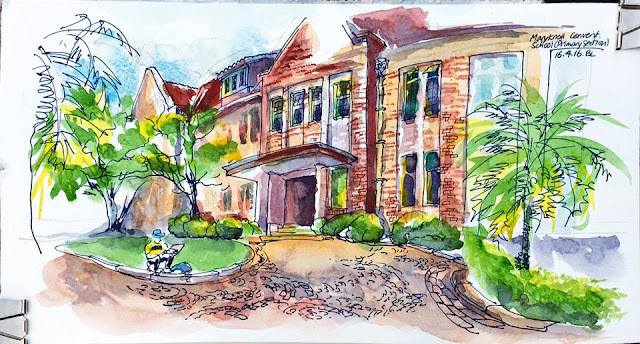 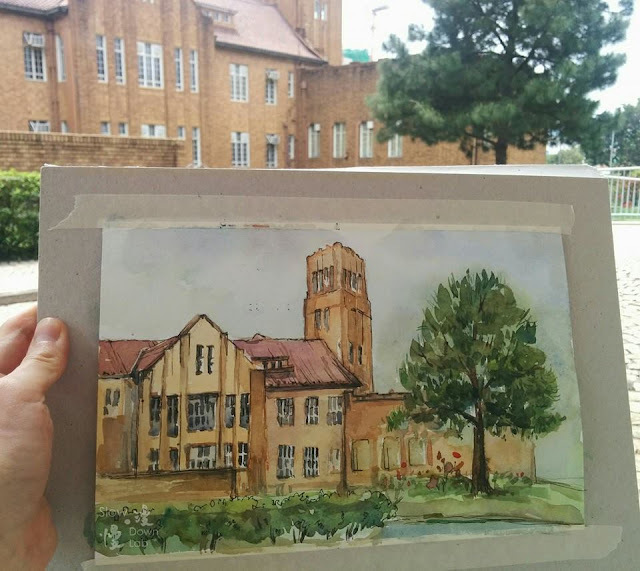 Thanks to Ms. Barbara Hung (Chairperson of MCS Foundation), Dr. Maria Lee, the school supervisor and Mr. Yan, the teacher of MCS, we enjoyed a wonderful day sketching the beauty of the historic buildings on campus. 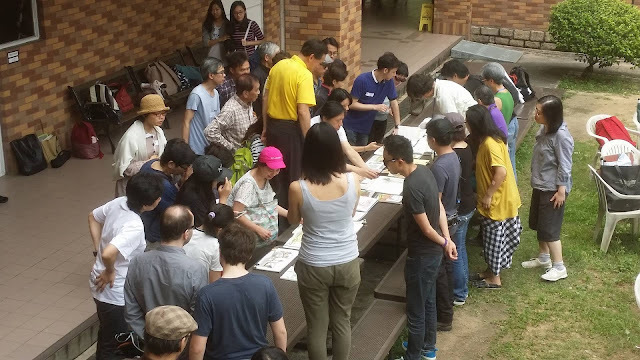 During the show-and-tell session, members of USKhk and MCS shared techniques, exchanged ideas and views on the many sketches produced on site.